I'm excited to show you our homeschool preschool space! I just love how fun, colorful, and organized it turned out! My favorite part is that almost every single thing I used to design and organize our homeschool preschool room was from the Target Dollar Spot, the dollar store, or garage sales. Below I have posted a few affiliate links, which means that I may make a small commission (at no extra cost to you) if you make a purchase after clicking on that link. Please see the disclosure page for more info! 1. Use what you have. Used food containers, shoe boxes, wet wipes containers, etc. If it's sturdy and can be cleaned, then it can be used for cheap craft storage. 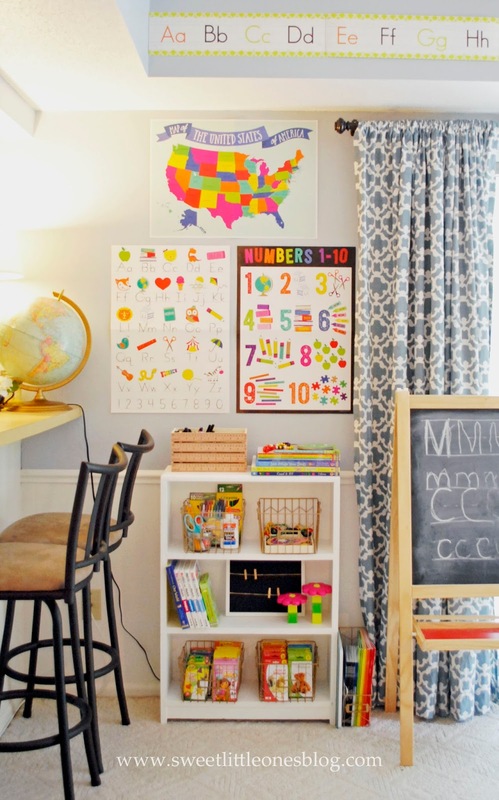 For decorations, use books, toys, and colorful school supplies you already own to brighten up the space! 2. Shop the Target Dollar spot, Dollar Store, and the clearance section. 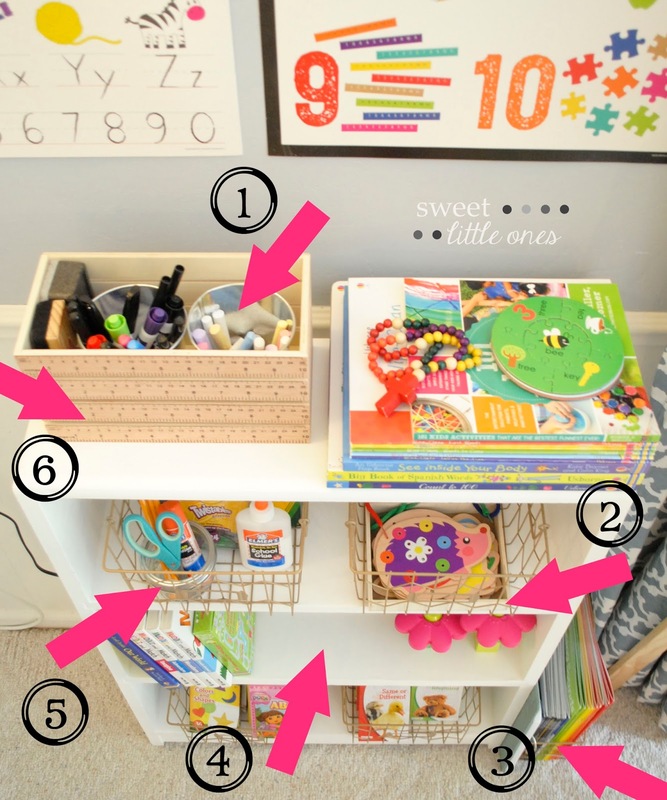 Almost every single organizational thing I used was from the Target Dollar Spot or the dollar store. And the best part is that the Dollar Spot has a lot of very beautiful decorative options! 4. Know when the deals are...and wait for them. 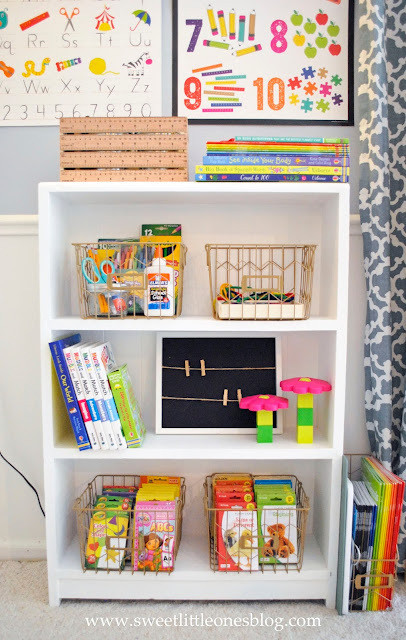 Storage containers typically go on sale around the back-to-school time (July) and the New Year (because "getting organized" is a popular New Year's resolution). Get your supplies when they're at their cheapest. 5. Be patient. It took me 2-3 years to put this together. Plan ahead if you can, piece it together over time, and you'll save quite a bit of money! Then, you can save your money for the things that really count like nice books and teaching supplies! Check out ABCmouse.com's 50% off Labor Day weekend sale! This sale will run from 8/30-9/5/2017! 1. To organize our dry erase markers, chalk, and other smaller supplies, I use these little metal buckets that I got from the Target Dollar Spot. 4. Everything that we typically need during each lesson is kept on this little white book shelf, which was a garage sale find for $5. 5. To keep small school utensils together inside the wire basket, I used a little mason jar that originally stored homemade jam. On the other side of the peninsula and bar stools (that you can see in the first two pictures in this post), we have a very nice wet bar turned craft space. 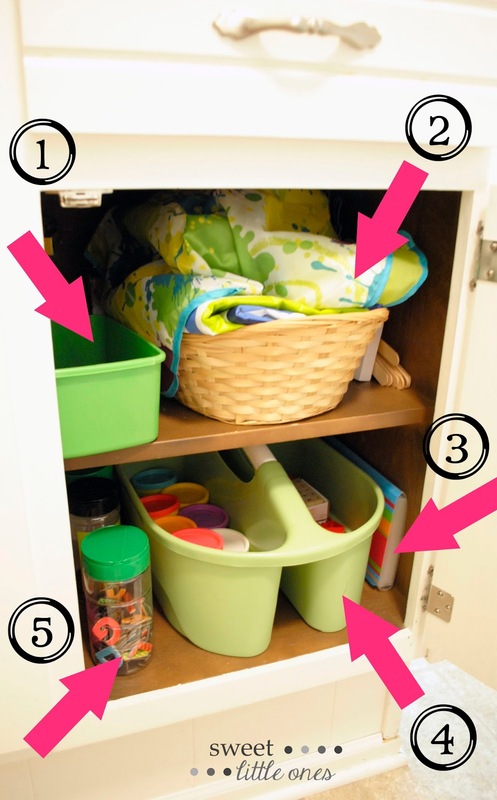 We're lucky enough to have built-in cabinets throughout our craft room so we have a lot of storage space. 1. 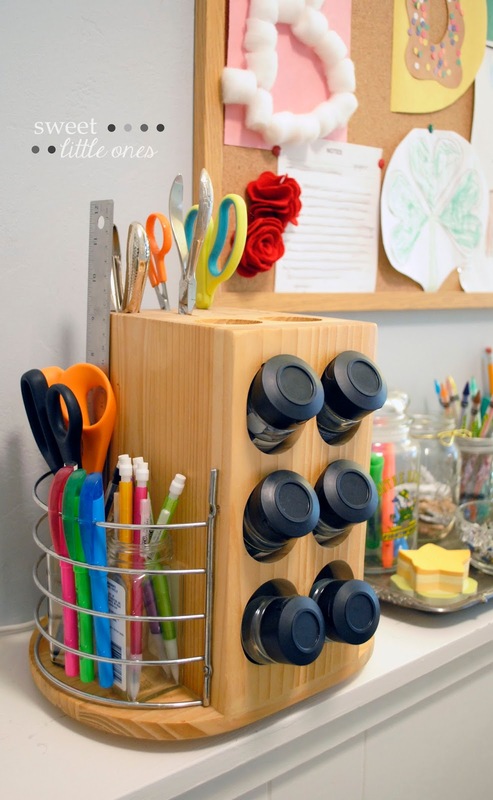 Wet wipes containers are perfect for craft storage! This one in particular holds our crayons. A bonus is that if you always use the same brand, they can even be stackable! 2. This old Christmas gift basket filled with fruit got a new life - now it holds our drop cloth and painting smocks! 3. One thing I really love are file folders. 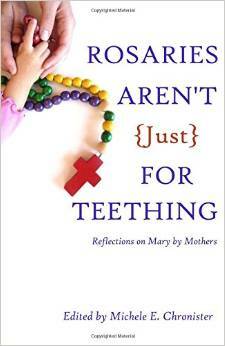 This is just a little one, but we have many larger ones too. They are from our college days and the Dollar Spot. I keep the papers that we plan to use over and over again in them, such as their letter tracing papers, plastic sheet protectors, etc. I also use one for stickers and one for bigger pieces of scrap construction paper. 4. A cheap kitchen / shower caddy holds all of our Play-doh, stamps, cookie cutters, and other associated supplies. 5. Old food containers and spice jars might be my favorite way to store crafts! (You'll see that more below too!) This old Parmesan cheese container now holds our magnetic letters. My favorite resource for teaching the alphabet at home! Dollar Spot metal buckets, old spice jars, and garage sale mason jars and glass containers organize our writing utensils and other small supplies. My old bulletin board brightens up the space by displaying the kids' art projects. 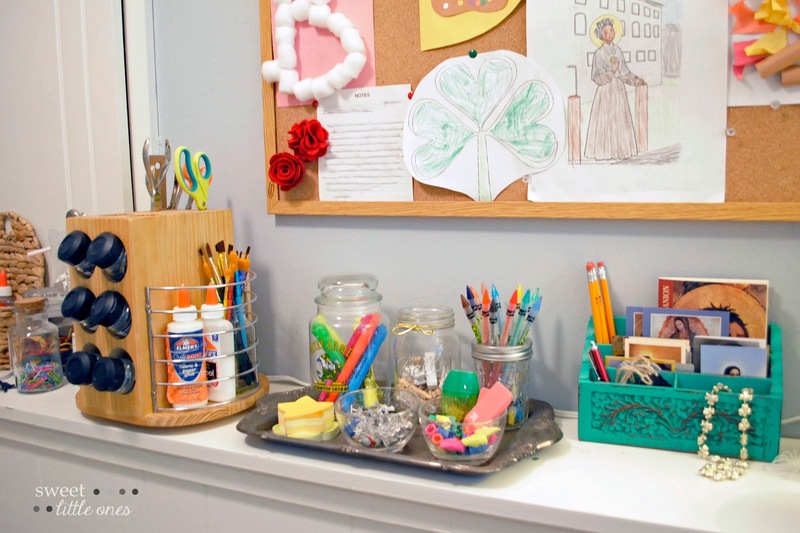 Old spice jars hold everything from pencils to paint brushes to sequins to paper clips. They are perfect for very small craft and school supplies! I hung up brightly colored educational posters (from the Target Dollar Spot) right in her line of vision from where she sits during her lessons (which is at a round kitchen table and chairs off to the side (not pictured). 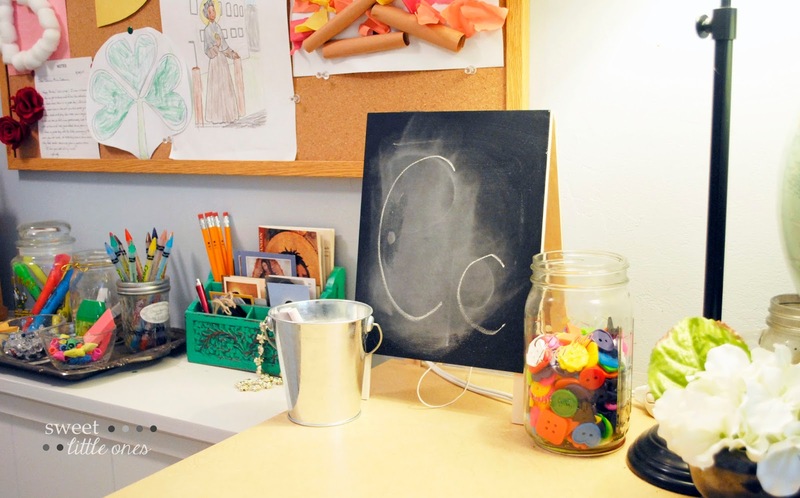 We have a simple, yet pretty chalkboard / dry erase board easel from IKEA which works great for me as the teacher and for her for practicing writing and drawing. (You can actually get it on Amazon too if you don't have an IKEA nearby!) We also use it as a stand for their magnetic board (similar). But really, my favorite way to decorate is using stuff we already own! 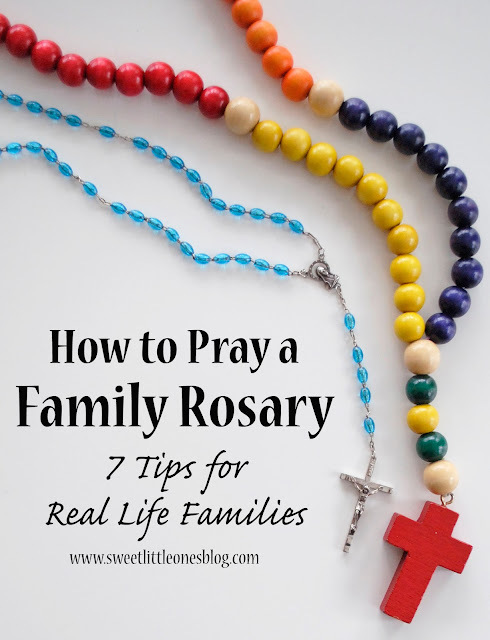 For instance, on our little white book shelf, I used some brightly colored flower MegaBlocks, a kid's colorful wooden bead rosary, and their favorite books. 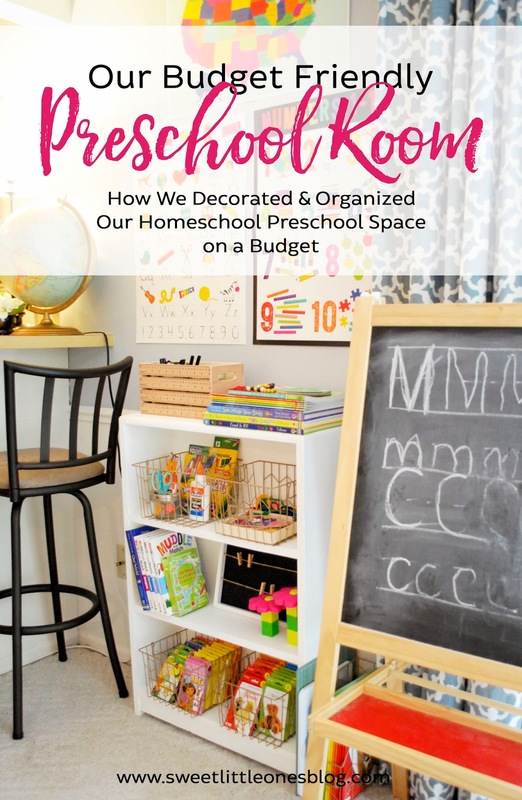 It's bright, colorful, and organized: our fun homeschool preschool room! I love how it came together, especially since it was budget friendly! It's my new favorite spot in the house! 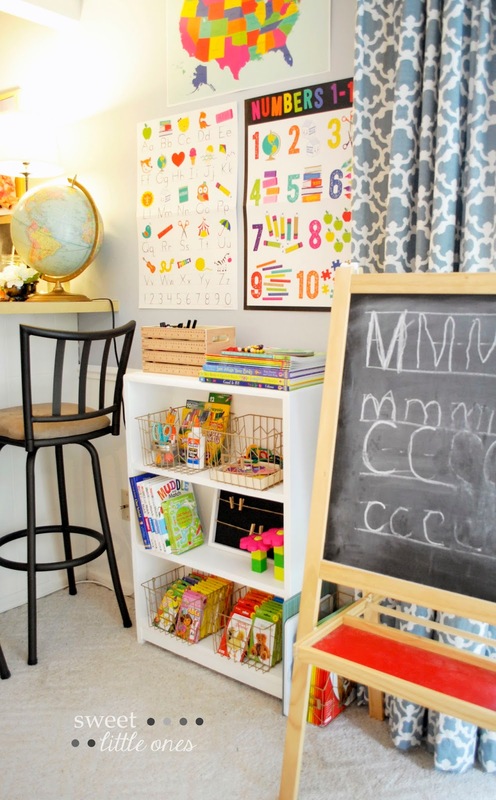 How have you organized and decorated your homeschool space? What are your best tips? 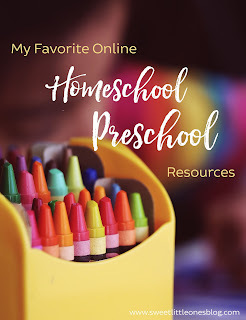 And please come back next Thursday - I'll be sharing my favorite online homeschool preschool resources! 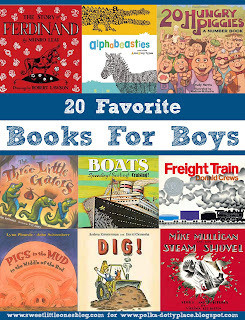 I'd love for you to add your favorites to my list! 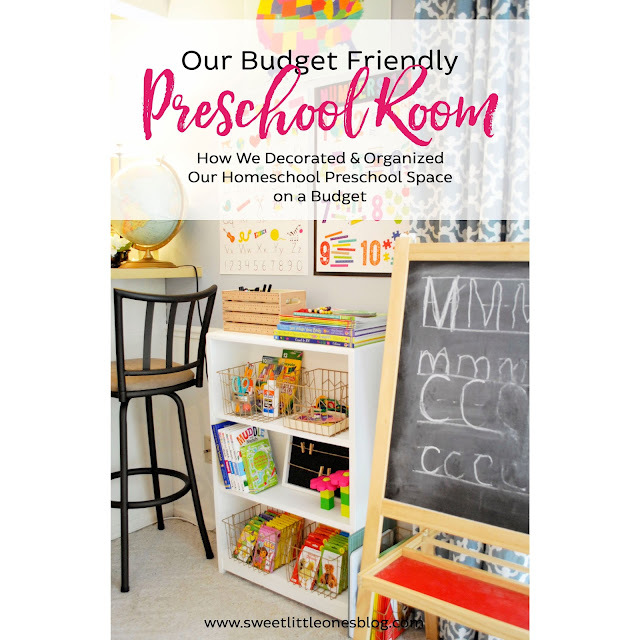 Edit (10/20/16) - You can find my favorite online preschool resources here! 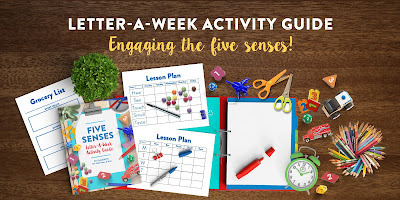 Check out Five Senses: Letter-A-Week Activity Guide by Elizabeth of This Little Home of Mine! 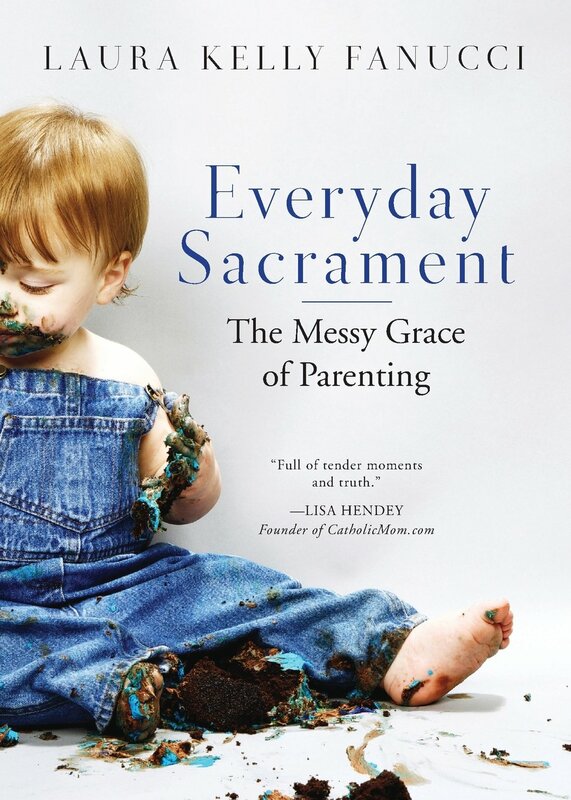 Every letter is perfectly laid out with an easy and concise list of activities and books. 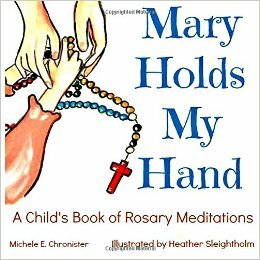 It is my favorite resource for teaching our little ones at home! From now through September 5, 2017, an annual subscription to ABCmouse.com is 50% off! We absolutely love ABCmouse! My daughter has learned so much playing it this past year! 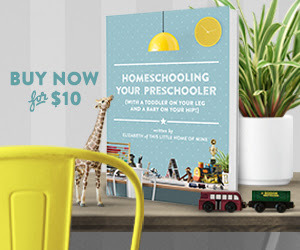 Click here or the banner below for details on how to save big on this amazing learning tool for your kids ages 2-8! Sign up for my newsletter to receive FREE printables from my shop every month (plus an extra on your birthday! ), exclusive deals, and blog updates!